You've intoxicated me by just a Glance. In the marriage of esoteric and exoteric realities, for the Sufi mystics, Tawajjuh holds an important place. Tawajjuh literally means orientation, to focus with intention, to pay attention or to send energy (or love), transmission towards something or someone. It is a concentration Sufi transmission from a teacher to a student. The transmission is a process during which the Shaykh affects a disciple / seeker by his inner states. The process of transformation is very similar to the alchemical process of transmutation of the base metal into gold in the presence of the red sulphur. The analogy is not only symbolic, but factual. In the presence of the Shaykh, and by means of the Divine Grace, a man is lifted from his fallen state into the state, which is his birthright and his real destiny. Everything is always the will of God, and the Work of God. A True Human Being is an instrument through whom grace flows and work is being done. "I have turned my full attention towards Him Who has created the heavenly and the earthly realm, being ever inclined to Him, and I’m not of those who ascribe association (with Divinity)." 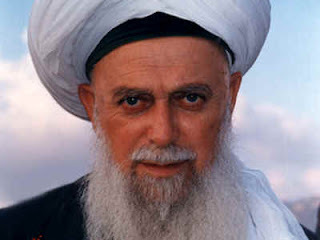 The term Tawajjuh is also used to point to the spiritual reality and a process through which grace transmits through intermediaries, whether the intermediary be Holy Spirit (Ruhul Quddus) or Enlightened Human Beings (Insan Kamil), Messengers (Rasul, Avatar), Saints (Awliya), Spiritual Masters (Murshid, Shaykh), Spiritual Elders (Pir). Whether they call it by this name or some other term, it is through Tawajjuh through which those who have extra ordinary healing power, also heals. Blessed Master Jesus Christ was gifted with extremely powerful Tawajjuh about which we will come shortly. The Greatest Sufi Masters and their sincere, empowered and blessed disciples are the guardians of this esoteric practice, even until today, which they inherited from Grand Masters of humanity, such as Moses, Jesus and Muhammad, upon them all be peace and blessings of God. In many alive Sufi Paths, Tawajjuh is given, practiced and taught to advanced seekers. The Naqshabandis (Impressionist Sufi) are notable for this practice. During the time of his solitary contemplation (tafakkur), meditation (muraqaba) and devotion (tahannuth) at the mount Hira, at its apex Muhammad Mustafa experienced one of the most majestic mystical experience of his life. The Holy Spirit, Archangel Gabriel appeared to him unexpectedly in a visible form and commanded him to recite. Muhammad was unlettered and didn't know how to read and write. "Read! In the Name of your Lord, Who has created (all that exists), has created man from a clot (a piece of thick coagulated blood). Read! and your Lord is the Most Generous." The Messenger upon hearing repeated these verses. He was trembling with fear from the awe inspiring experience. As Jesus was walking beside the Sea of Galilee, he saw two brothers, Simon Peter and Andrew. They were casting a net into the lake, for they were fishermen. "Come! Follow me," Jesus said, "I will make you fishers of men." That is the Zahir, a brief description of what happened on the outer. But what happened in the Batin, in the Esoteric is unwritten, vast and lost (most of the esoteric aspects of original Christianity vanished through the destruction of the Knight Templars, with the disappearance of the Christian gnostics and Desert Fathers in earlier periods). The glance that a Master casts on their pupil which "instantly pull them like magnet" (in other word, make them fall inside the whirlpool of love almost violently, for lack of words to describe the phenomena) is exactly what Tawajjuh is. The fact that Jesus, the Guide of Heart without using much word, without being much known there (this was the start of his Messengership to call people to God publicly), yet someone as simple minded as the fishermen could leave their secured livelihood, their family, their every attachment to the world to instantly fall in love with this single man - is a classic example of Tawajjuh. Throughout the Holy Bible there are many examples of Christ's use of Tawajjuh or blessed Glance and transmission (via touch), specially in case of his healing the sick. When he calls his twelve disciples to him and give them authority to heal every disease and sickness and to drive out evil spirits - his giving of authority is exactly the same method embodied and practiced by the Sufi Masters which is called giving Tawajjuh. And it is through the mystery of Tawajjuh or transmission of baraka for which Jesus announces before his disciples, "He who receives you - receives me, and he who receives me - receives the One Who sent me" - this is the secret chain (silsila) through which Tawajjuh or transmission transmits - from God to His Messenger to the disciples and the transmission continues by permission of God. One day Peter and John were going up to the temple at the time of afternoon prayer. Now a man named Beautiful (Jamal) crippled from birth was being carried to the temple gate where he would beg. When he saw Peter and John about to enter, he asked them for money. Peter looked straight at him, as did John. Then Peter said, "Look at us!" So the man gave them his attention, expecting to get something from them. Then Peter said: "Silver or gold I do not have, but what I have I give you. In the name of Jesus Christ of Nazareth, walk!". Taking him by the right hand, he helped him up, and instantly the man's feet and ankles became strong. He jumped to his feet and began to talk. The Blessed Glance of a Master happens through the pure Eyes which Christ calls "Lamp of the Body" and taught his close disciples about its deeper mysteries. Its absolutely necessary for one who is to be gifted with Tawajjuh to maintain the purity of the eyes, to respect the limit of what is permissible and what is not permissible. May God sanctify our every glance, our vision. Your eye is the lamp of your body. When your eyes are pure, your whole body is full of light. When they are corrupt, your body is also full of darkness. See to it, then, that, the light within you is not darkness. Therefore, if your whole body is full of light, and no part of it dark, it will be completely lighted, as when the light of a lamp shines on you. Say to the believing men that they should lower their gaze (to guard) and guard their modesty: that will make for greater purity for them: And Allah is well acquainted with all that they do. Sufi Teachers consciously practice Tawajjuh to enable the disciples and raise their spiritual station, to give them authority. This is a highly "experiential" subject that is difficult to put in written text. But this is how giving Tawajjuh (in formal way) occurs or looks like on the outset (and there are other informal ways). The Murid (seeker of Sufi Path), after ritual purity (Islamic baptism) sits in front of the Master in maintaining the best of Adab (sound spiritual manners). Then the Murid free his or her mind and direct all attention to the Master and stills all the organs, including the tongue. The Master in his heart recites the zikr by invoking the Personal Name of God: "Allah" and after activating the light and remembrance in the subtle centre of consciousness (latifa) of the body - the Master projects it with force to the subtle centers of the Murid. As I mentioned earlier, this is not book knowledge and can not be expressed beyond certain limits. Grace is necessary. more than a hundred retreats. Hazrat Shaikh Abdul Haqq Quddus Gangohi cast a powerful gaze of Tawajjuh on Moulana Jalalud Deen. In consequence, his entire treasure of acquired knowledge was effaced. Khwaajah Moinud Deen Chisti became ba’yt to Hazrat Uthmaan Haaruni, and by his virtue of Tawajjuh, Moinud Deen Chisti attained perfection in Sulook in a single day (which would generally takes decades if not entire adult life time). Khwaajah Moinud Deen Chisti once passed by an orchard of a hostile religious chief, who would kill any person with certain names. Moinud Deen Chisti sat near the pond. The Shiah appeared in a furious state intending to kill Moinud Deen Chisti. But when Hazrat glanced at him, the man fell down. When he gained his consciousness, he was a transformed person and became a staunch disciple. In Mawaiz-e-Ashrafiya its written: The spiritual attention (tawajjuh) and litanies (wazaif) are for increasing the luminosity of a reformed nafs. They open the path in forward direction. Its said that after the meeting of Shams with his then 'to be' student Rumi, both of them locked themselves in a small hut for many days continuously and they gazed deep into each others eyes. During this time of silent communication, great transmission / tawajjuh happened. 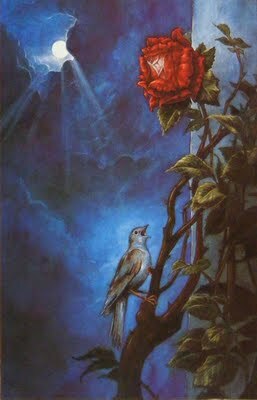 Rumi received mystically from Shams that which was given. This high level transmission is what enables a student to keep communicating with the Master even after they leave their body. The meeting of Shams and Rumi was brief, but Shams left Rumi completely transformed to such degree that later on Rumi could write on behalf of Shams and call it the Divan of Shams. Such is the power of transmission. And Allah knows the best. There are many examples of Tawajjuh practices in the life of the Rasul. The Dervish companion Abu Hurairah had an earnest desire to remember everything that he heard, saw and received teachings from the blessed presence of Rasulullah. One day he took his desire to his Beloved Master upon which the Rasul asked him to open his chest and he placed his blessed hand on the heart center and transmitted special Tawajjuh to him through which Abu Hurairah became someone who remembered voluminous traditions, sayings and actions of the Prophet and is one of the most quoted hadith narrator in the history. According to a hadith, one day the Prophet was holding the hand of Hazrat 'Umar, one of his close companions. 'Umar said to him, "O Allah's Apostle! You are dearer to me than everything except my own self." The Prophet said, "No, by Him in whose hand my soul is, [you will not have complete faith] until I am dearer to you than your own self." Then transmission happened. Something changed within the heart of Umar and he said after the transmission, "Now by Allah! 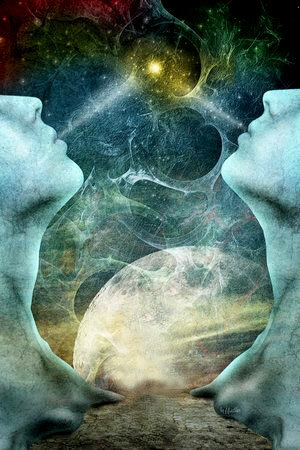 you are dearer to me than my own self." The Prophet said, "Now, O 'Umar, [now you are a believer]." 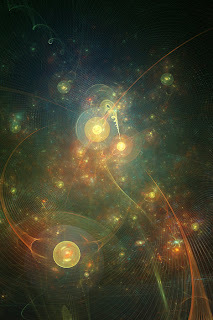 Through the touch the Masters transmit their energy of love. Also the transformation of Umar, the day when he was still an enemy, came with the intention to kill the Prophet with a naked sword in his hand. Upon entering the presence of the Holy Prophet, the Messenger simply looked at him with complete love and in that exchanged, happened that which happened beyond words. And with just a glance, the open sword form the hand of Umar fell down and he professed his faith and took bayah with the Prophet. This was tawajjuh through presence and glance. The following incident was related by Hazrat Alja bin Ka'b. "When I was in the mosque, a man came in and started to say his prayers. He recited the Holy Qur'an in a manner that appeared incorrect to me. Then another man came in and recited the Holy Qur'an in yet another way. I went to the Prophet and complained him how these people had recited the Qur'an. The Prophet then asked both men to recite the Holy Qur'an and they did. The Prophet then said that both were right. Then my heart was filled with evil doubt that was even stronger than that of the period of ignorance (jahiliyya). When the Prophet saw my state, he struck my chest with his hand. I started perspiring profusely and my state of fear and awe was such that I felt I was seeing God. Such was the power of Tawajjuh of Habib Allah. The Beloved Master Muhammad's Tawajjuh was ceaseless. Its narrated that when he would turn to someone, he would turn with his full body, which signified that he would devote give his full tawajjuh or attention. When he would talk or listen to someone he would always devote his full loving and compassionate attention to the person. Such was his level of love energy that everyone who would meet him, know him and sit with him would think that perhaps the Master loves him or her the most in the entire world, more than anyone else. Such was the Way of Love (ishk) of Habib Allah (the Beloved of God). Note: To describe the process of Tawajjuh, as it happens in reality is not only difficult, but such descriptions may distort its depths, trivialize it, and not infrequently make it a subject of misunderstanding by the cynic. For example out of ignorance some shallow spiritualist think of Tawajjuh as Mesmerism, but both are not same. Just as the miracles performed by Christ or Moses is not equal to street magic or cheap tricks, rather far removed from that, similarly the realm of Tawajjuh is about grace and inner Reality.Those who have the understanding of Love, will come to realize that the subject matter of Tawajjuh is in reality about Glance of Love, and Love alone. with just one look from God.